Journey with other students as you explore the Catholic faith in a small group faith study! Make your voice heard! Tell the executive about your new event idea at a Council meeting. Check our email newsletter for the next date! Join us for a great meal and conversation every Saturday evening at 6:00pm for only $5! Through our vibrant spiritual and social life, we seek to grow in the love of Jesus and spread the joy of his Gospel to the McGill University campus and beyond in a spirit of friendship and service. Inspired by the legacy of Cardinal John Henry Newman, we strive to provide a point of intersection between our lives as students and our lives as Christian disciples. The Newman Catholic Students' Society sends out an email newsletter every week with information about our latest events and activities. Click here to view our announcements for this week. 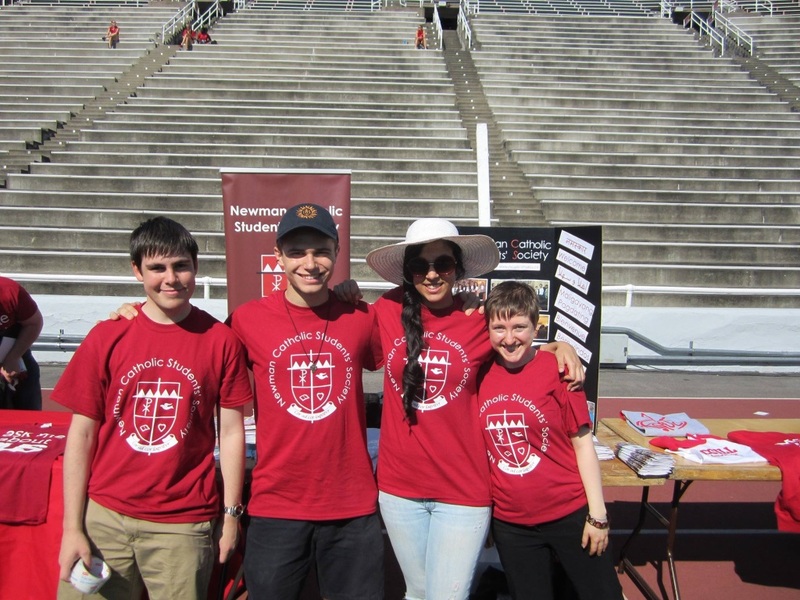 There are plenty of ways to get involved with the Newman Catholic Students’ Society, from volunteering to cook a Saturday Night Supper, to running for an executive position, to simply attending one of our events and activities.